Do you want to setup your own food business in Delhi? Are you looking for a good food business opportunity in Delhi? If yes, then Chaat Ka Chaska street food franchise business in Delhi will be the best opportunity for you. Food business is one of the high-growth and high-profit sectors in India and world as well. This requires low investment and ensures constant source of income. So, if you are looking for such business opportunity that you can start with low investment and make money with sufficient margins then, opening your Chaat Ka Chaska street food shop in Delhi will be a wise decision for you. Chaat Ka Chaska is one of India’s leading street food brand, now offering excellent food franchise to the people of Delhi who are keen to open their own food business in Delhi. So, grab the opportunity and become your own boss by opening Chaat Ka Chaska street food franchise store . Why Chaat Ka Chaska Franchise In Delhi? Delhi is more than just the capital and political epicenter of the country. The capital is divided into two sections Old Delhi and New Delhi. Delhi is not just the largest city or populous city in India but also the most popular and favored cities by the young professionals and students for making a good career. Delhi is popular as an IT hub as there are number of IT companies and many multinational companies. Apart from this Delhi is also an educational hub with infinite numbers of schools, colleges and universities. People from different parts of the world move into Delhi for betterment in career and life. Due to multinational companies and educational institutions the city is home to many young professionals and students, who can be your potential customers as they have huge contribution on the demand of such trendy restaurants, food cafe and shops. So, opening your own Chaat Ka Chaska street food shop in Delhi will be a wise decision for you which will help you to make money with sufficient margins. The school, colleges and universities campuses will be one of the best places to establish street food shop or restaurants. The students have demand for hangout places or trendy restaurants where they can sit, relax and eat lip-smacking foods. Having a street food shop or cafe in or around these campuses can increase your sale. So, Delhi has huge potential for growth in food business. If you are truly interested in opening food store, cafe or restaurant in Delhi with low investment and get good return on investment then, you should not miss Chaat Ka Chaska street food franchise business opportunity in Delhi. Chaat Ka Chaska is a new venture of Brewbakes Cafe, one of India’s leading coffee cafe franchiser, now offering street food franchise business opportunity to the people of Delhi who want to start their own business and become their own boss. 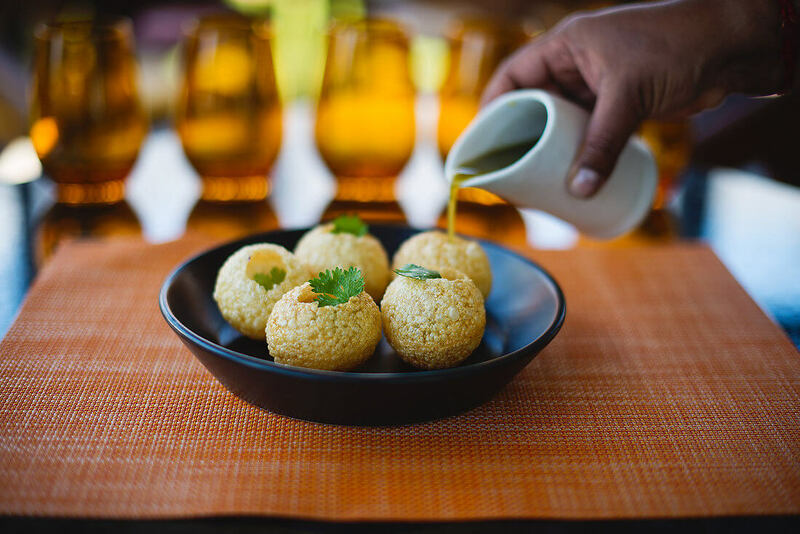 We serve the lip-smacking and mouthwatering Indian street foods like Bhelpuri, Sevpuri, Tikki Chaat, Golgappa, and much more. We will provide you remarkable franchise support and advance training support to establish your chaat or street food outlet in the city. So, if you are actually interested in opening your own food business in Delhi then take advantage of Chaat Ka Chaska’s low investment chaat franchise models and become your own boss.